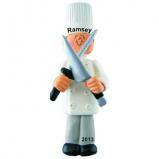 For easy shopping, we've collected all professions ornaments neatly categorized in one department. 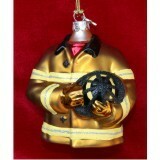 You'll find firefighter ornaments for firemen; police ornaments for men and women; medical ornaments; attorney ornaments (JD and others) and lawyer Christmas ornaments (and other legal professionals); beautician, chef, education, flight attendants, real estate ornaments, secretaries, business professionals and more. 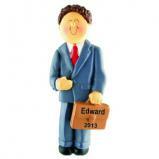 You can even use the business designs as a first job Christmas ornament. We offer affordable ornaments in resin under $15, as well as blown glass ornaments when we can find them. 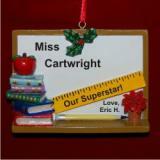 All of these professions ornaments can be personalized with the recipient's name. You can also choose to add the year or a date, as well as a heartfelt sentiment or loving message.